A polearm is a fine but difficult weapon. 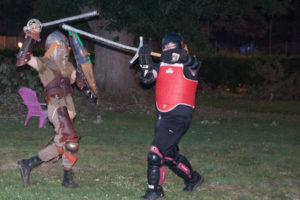 So we are glad that our fellow heavy fighter Hagen will share his experiences in polearm and longsword with us. So come and learn something, that migth widen your horizon this Wednesday at HTC site!